Could We See Cerrone vs. Mcgregor Next? Donald “Cowboy” Cerrone who returned to the lightweight division after a stint at welterweight where he held a score of 5-4. In his return to 155-pound Cerrone picked up a second-round TKO win over Alex Hernandez at UFC Brooklyn last month. Following his win ‘Cowboy’ called out Conor Mcgregor. Irishman quickly took to Twitter and congratulated Cerrone on his victory and accepted the call out. Last month Khabib and Conor received sanctions from NASC for taking part in UFC 229 post-fight brawl. Khabib who got nine months of suspension and wants to sit until November while Conor is eligible to return to Octagon by April, so the lightweight division needs to sort things out again. Khabib also said he thinks in his absence UFC will create an interim title. Speaking at UFC 234 media scrum recently, UFC head honcho Dana White also said he wants Mcgregor to fight in summer versus Donald Cerrone. White also said no.1 contender Tony Ferguson is next for current UFC lightweight champion Khabib Nurmagomedov. But Khabib’s manager has some other plans. In this process, Dustin Poirier who’s on impressive streak left out cold has been looking out a title shot opportunity for a long time. 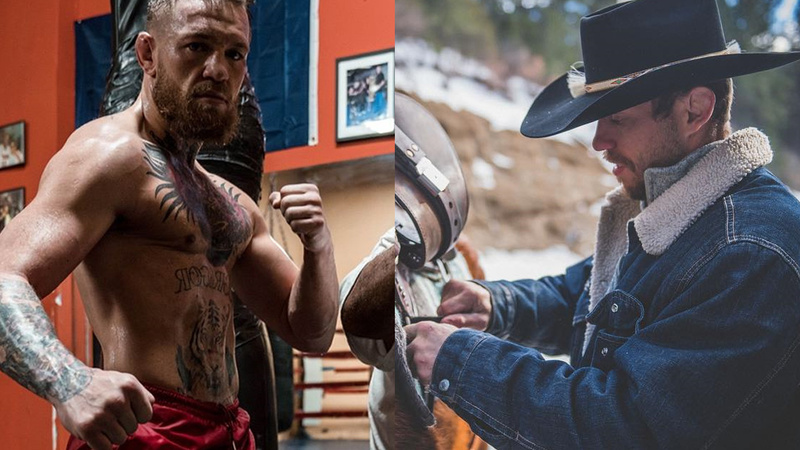 In the wake of White’s statement, last night Cerrone took to Instagram and teased a potential showdown with Mcgregor for an interim title at 155-pound. Who wants to see Mcgregor vs. Cerrone next?